Share the post "Your Fertility and Embolization"
Research studies are continually being conducted to assert that UAE may be both safe and effective. Find out more information about UAE and its impact on your fertility. Why does all the literature out there say that if I want to become pregnant to not choose embolization to treat my fibroids, that there is not enough evidence that shows embolization will not cause infertility? Is most of the information out there out of date? However, there are several reports of women becoming pregnant after the uterine artery embolization process and having successful pregnancies. One study published in the Obstetrics and Gynecology Journal in 2005 took a total of 555 women who underwent uterine embolization in a multicenter clinical trial. The study conclusions indicated that women are able to achieve pregnancies after uterine artery embolization, and most resulted in term deliveries and appropriately grown newborns (1). In our office alone, one third of the women who came to the Fibroid Treatment Collective went on to conceive and deliver a child which has also been duplicated in other studies. Additionally, another study from France reviewed effects of UAE for treatment of Postpartum Hemorrage (PPH) on menses, fertility, and future pregnancy and suggested that patients who had UAE for obstetric hemorrhage should expect normal return of menses with preservation of future fertility. The data also suggested that, by itself, UAE has no negative effects on future fertility and pregnancy outcomes(2).Therefore, embolization may prove to be a favorable choice for fibroid removal and should be considered as a possible option. At any rate, before choosing any kind of treatment, you should research and discuss all aspects of the procedure with your health care provider or OB/Gyn. To access current medical articles about this topic on our site, you can click on the “Medical News” link and read about UFE and its possible effects on fertility. 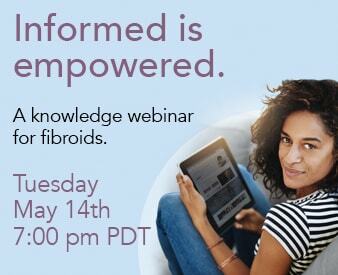 You may also call the Fibroid Treatment Collective at 866-362-6463 so that they can answer any questions or concerns that you might have. Understanding the various aspects and results of the treatment options that are available to you will allow you to make a more informed decision. 2) Descargues G, Mauger Tinlot F, Douvrin F, Clavier E, Lemoine JP, Marpeau L. Menses, fertility and pregnancy after arterial embolization for the control of postpartum hemorrhage. Hum Reprod. 2004;19:339-343.